As a (former) Weight Watchers leader, I can’t tell you how many times I’ve heard the words “I’m just not disciplined enough.” As a person who has struggled with her weight since childhood, I could easily buy into that excuse. It’d be kind of a relief actually. Yep, I’m just not a disciplined person, moving on… However, what I’ve come to realize is that discipline is a choice. Ooooh, ouch! I know. Discipline IS a choice and when we invite God into the mix it can lead to profound change. In the spring of 2011 I started my (umpteenth) weight loss journey and I reached my goal weight in winter of 2012. I’m happy to report that I’m still maintaining a 40+ pound loss. In the winter of 2013 my husband and I started Financial Peace University (FPU) and by winter of 2017 we will finally reach our goal of being debt free. I share this because it’s been a grueling and slow journey. Eating and spending rank as my top two loves. Well, OK, please add in my husband, kids and Jesus. You get what I mean. For a person who struggles with using food and shopping to make herself feel better, it seems like some kind of crazy to try to tackle them both at once. I don’t have many vices; I need ONE of them, don’t I? This week on his Facebook page, Dave Ramsay (from FPU) wrote “Money is 80% behavior and 20% math.” Amen brother! Focus on behavior and the results will follow. It wasn’t until we started FPU that I realized how much weight loss and finance go hand in hand, they both require patience, perseverance and MAJOR emotional and behavioral overhauls. I’d like to say that the center of our behavior change is discipline, yet is so much bigger than that. In the center of our behavior change is God. [pullquote width=”300″ float=”right”]He asks us to be obedient to Him, to call on Him, to rely on Him, in all things. Not some things, not whatever we feel like- ALL things. [/pullquote]We tried for years to lose weight on our own. We tried for years to do finances on our own. And we stumbled, again and again and again. When I set my wellness goals a few years ago, one of them was “to honor God with my body.” I have a vision board and I put God in the center of it. I realized that I could not change without God’s help; the temptations were far too great. I prayed (and still pray) for His help to remain focused on being well for Him. When my husband and I set our financial goals, one of them was to “do finances God’s way” and boy oh boy in this materialistic world this was (and still is) a toughie. We want to do right by Him. To show Him we can manage the financial gifts He has given us. We prayed (and still pray) daily for His help to be disciplined and make wise choices. Incredible change can happen when you put God in the center of your struggles, in the center of your life. Children. Stephen’s Children takes these children out of the garbage dumps, educates them, teaches them trades, provides healthcare and most importantly shows them God’s love. These kids, who sorted trash for income, for food, who played with trash for toys, who lived in houses literally built with walls of trash- they believed with every ounce of their being that their lives could be transformed. You could see it in their eyes, their smiles. Hope. Belief. Trust. In all things, not some things. Every day they read that verse out loud for us and my heart simultaneously broke and swelled. Broke for what they had to endure when they left the school each day, I have never ever seen anything like it. Living barefoot amongst the trash with rats and wild dogs, scavenging for survival. Yet my heart swelled because these children had more faith than most adults I know. The love of Jesus was all encompassing. His presence was electric and so strong in that school that it took my breath away and brought me to my knees. I have never ever felt anything like it. So here I am, apparently a slow learner and an (admittedly stubborn) follower of Jesus. Doing my best to turn it all over to Him. Trying to remember that incredible change can happen when we do. I can do finance in Christ who strengthens me. I can do weight loss in Christ who strengthens me. I can do all things in Christ who strengthens me. God + all things= possibility. God + all things= change. God + all things= peace. God + all things= hope everlasting. Praying for God’s help to be disciplined and to make wise choices is very, very, very familiar to me. I, too, am a fellow struggle with weight and money person. The money stuff Kevin and I worked through, but the weight, body image, food choices are still my daily struggle. I wouldn’t be telling the truth if I didn’t say I get frustrated with God A LOT on this front as I’ve begged, pleaded, and cried out to him for his help to overcome this one with no real triumph as of this time, right now as I write this response. Thanks for sharing your trials and successes and your ongoing work to allow God to lead you through the changes for him. I look forward to reading and learning more. I hear you Terri! I have cried, shouted, and been angry about my weight over and over again. Frustrated that I could be successful in so many parts of my life yet continue to struggle with my weight. My March G & S post is about body image. The biggest mindset shift for me this time around has been introducing small changes. How about making discipline more manageable by making one small daily decision and following it up with action? 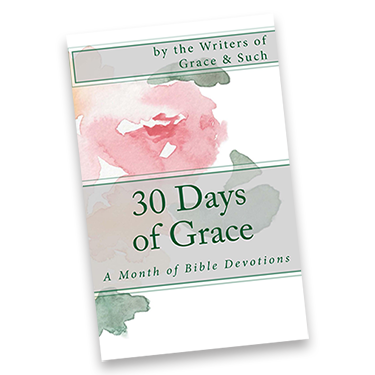 I was reading Joyce Meyer last night and she talked about God giving us just enough grace for today. That reminds me to not fret over past weight struggles or worry about repeating those poor choices in the future. That “what if I fail again” stuff goes away if we keep our eyes focused on only today. Oh friend, you just said a mouthful! “Hope. Belief. Trust. In all things, not some things.” In ‘all things’ means in ALL things. Thanks for reminding me! Hope. Belief. Trust. 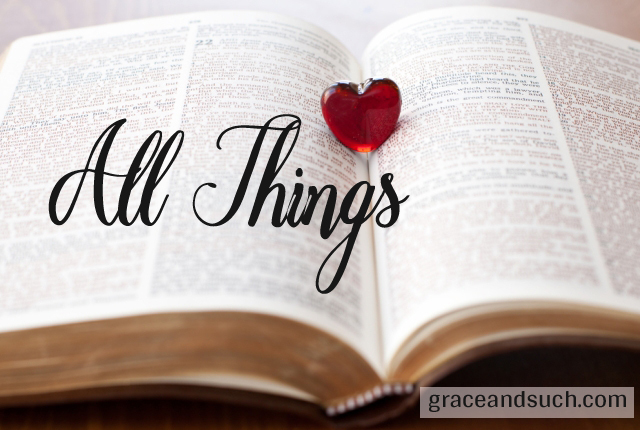 So hard to believe in the “ALL things” sometimes, especially when those “ALL things” don’t turn out the way I have planned. Thanks for the reminder again about what discipline is and is not. It really is a one day at a time thing. Absolutely- as I replied back to Terri above- God gives us enough grace for one day at a time- that’s it. He’ll take care of our tomorrow. Ouch. “I’m just not a disciplined person” – this plays out in my internal dialogue every.single.day. Thanks for writing what I needed to hear. Me too! Have you ever read Taming Your Gremlins? It’s one of the best books I’ve read on acknowledging and re-scripting our inner dialogues. God in the center of all things. Such a simple idea, but boy the distractions make it seem elusive. Yes, discipline is a choice, & it has little to nothing to do with “how I feel” about what I’m doing. Behavior. Very eloquent post & excellent reminder for me. I end each of my wellness blog posts with- Commit to the choice. Ask for help. Continue with courage. It’s all about decisions and actions.